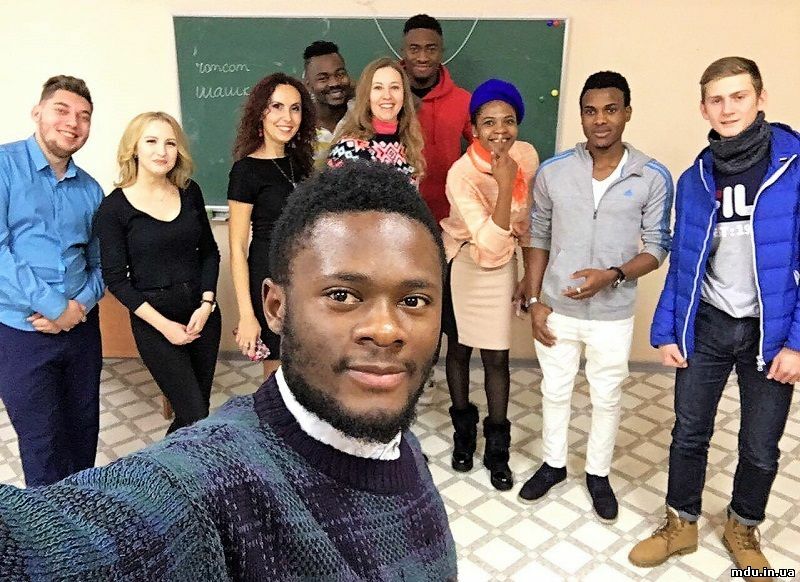 On December 5, the second meeting of Multicultural Speaking Club was held at Mariupol State University. The club was created by the initiative of Svitlana Arabadzhi, Associate Professor of the History Studies Department, Head of the Student Scientific Historical and Archaeological Society of MSU and by Marina Bella, Professor of pre-university tutorial Center and work with foreign students. 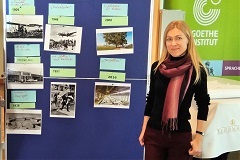 Oksana Danilenko, Professor of German and French Philology Department of Mariupol State University attended the seminar “Lively stories - country studies during the classes of German language”, which was held in Kiev On November 29-30. The event, which was arranged by Goethe-Institut, gathered professors of higher educational establishments from different parts of Ukraine. At Mariupol State University school leavers were told why should they continue to study in their hometown. Today was an Open Day at the Mariupol State University, which began with the fair-presentation of the majors. Last week The NATO Information and Documentation Centre in Ukraine (NIDC) arranged the trip to Brussels (the Kingdom of Belgium) for 20 representatives of Ukrainian higher educational establishments and for public figures, who address the issue of the international cooperation issues, European integration processes, security problems and also the problems of cooperation between Ukraine and NATO. 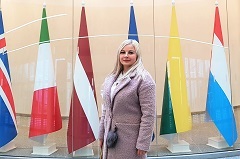 Lidiia Shevchenko, the head of the International Relations Department of Mariupol State University, was a representative of Ukrainian delegation. On October 30 the presentation “Federal lands of Germany: common and distinctive features” was held within the frameworks of the weeks of Germany in Ukraine on the Faculty of Foreign Languages Department of Mariupol State University. German and French Philology Department arranged this event, which held in the form of festival fair. On November 1 at 12:00 the presentation of the scholarships of German Academic Exchange Service will be on the Faculty of Foreign Languages Department at Mariupol State University. The events was arranged within the frameworks of the weeks of Germany in Ukraine and will be held with the participation of the Vice-Consul of the FRG in Donetsk (the Dnipro office), Peter Schmal. 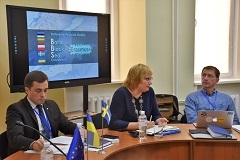 On October 29 Baltic-Black Sea regional researches Center, created within the frameworks of implementing the Erasmus+ project “Rethinking Regional Studies: The Baltic-Black Sea connection”, started to work at Mariupol State University.